The scenes that represent each month of the year grace the back cover (above). 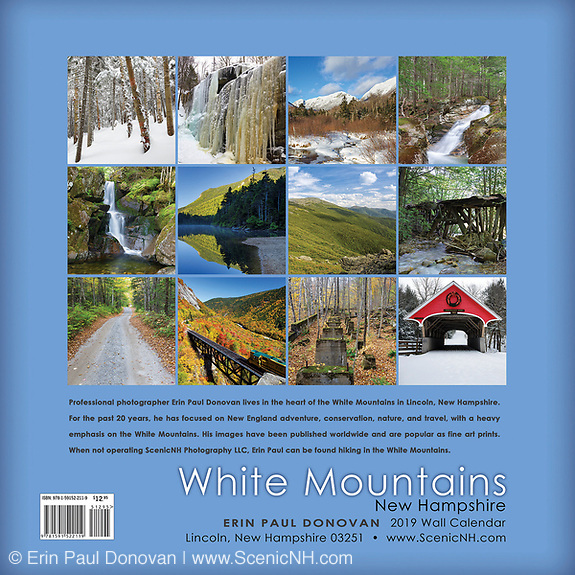 Scenes include: Duck Fall, Eagle Cliff, Flume Covered Bridge, Greeley Ponds, Kinsman Notch, Loon Pond Mountain Cascades, Mount Washington, Pemigewasset Wilderness, Pitcher Falls, Sandwich Notch Road, the ghost town of Livermore, Willey Brook Trestle, and other scenic locations in the White Mountains. Also available this year is my new book on the East Branch & Lincoln Railroad. 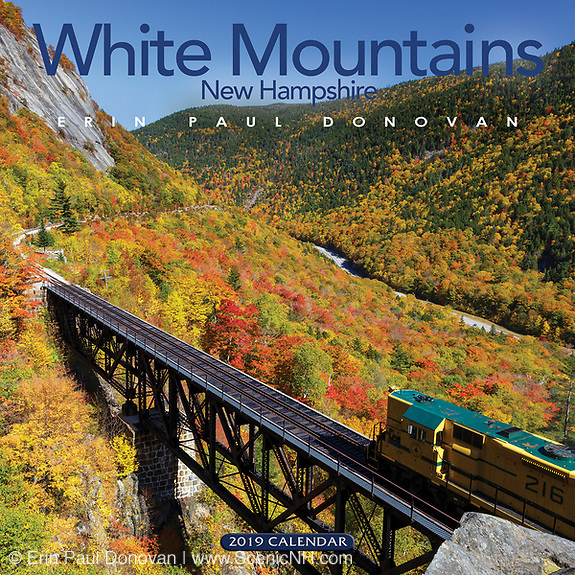 On the cover (above) is the East Branch & Lincoln Railroad’s Porter 50 ton locomotive on display at the entrance to Loon Mountain. Built by James E. Henry, the East Branch & Lincoln Railroad is considered to be the grandest logging railroad operation ever built in New England. 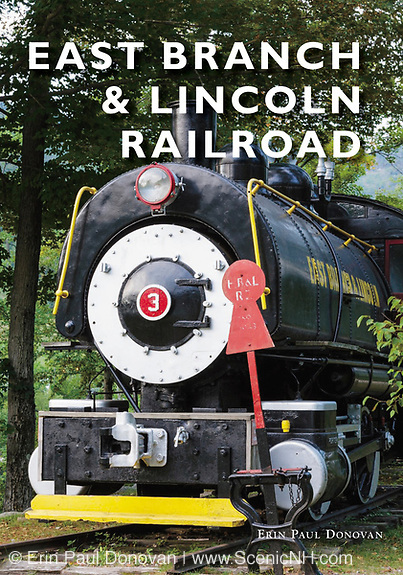 With the use of black and white and color photographs, this book explores the history of the East Branch & Lincoln Railroad, while showing the abandoned railroad as it looks today.